Hey! I'm Rauno, the technical half of our global team working on Escape from Aeon (EFA). I've been thinking about writing a proper devlog post for a long time now and this topic seems like a good one to start on. 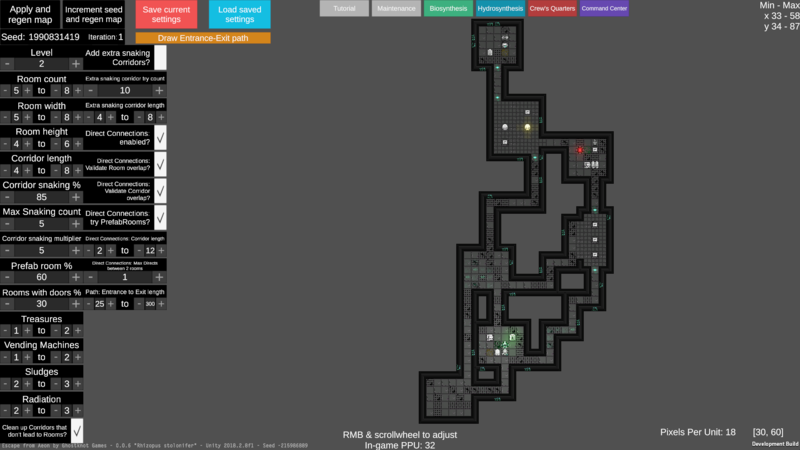 Map generation is an endless rabbit hole — and a popular one to jump into, as proven by the roguelike/lite boom in recent years. It's also one of the core elements of any game of this genre and the first thing that's listed in the Berlin Interpretation list! While it can be a big time sink, it can also be a whole lot of fun and very satisfactory when you get some cool and/or unexpected results from it. 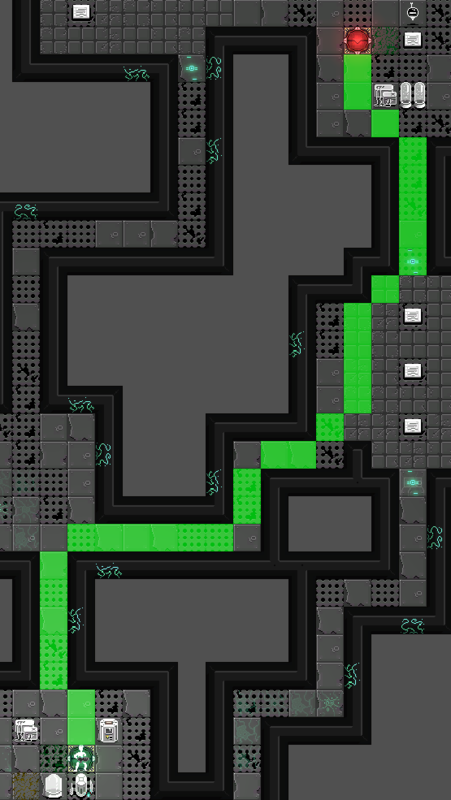 Some floors have specific requirements - like the special starting room on the first floor and the Primacore on the last floor. Of course, some details - like validating that Corridors/Rooms don't overlap when placing them - have been omitted from this list. Also, everything is seeded so that maps can be easily reproduced, which is useful for saving/loading, debugging and potentially even seeded runs. Since we're using C# (and Unity), our seed is just an int used for initialising an instance of System.Random. For fun - and debugging, but mostly fun :) - we're also saving the resulting maps and the step taken to get to them into .png files. 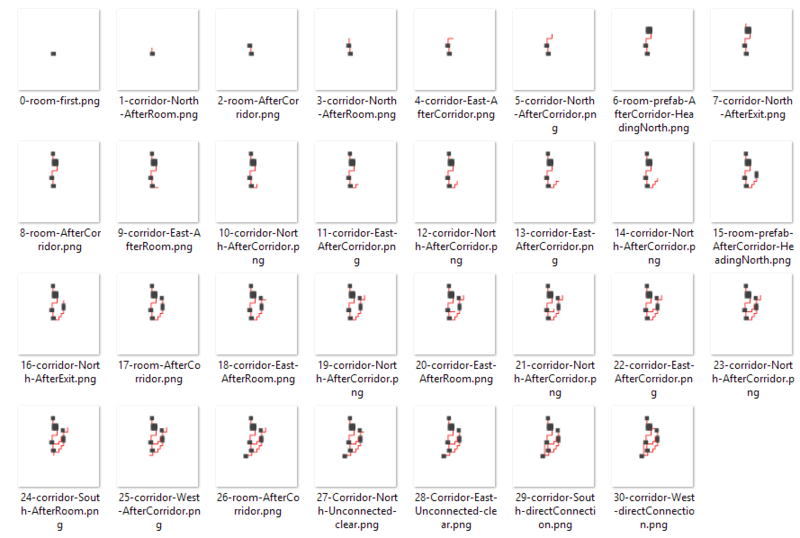 For ease of modification, a bunch of the parameters are stuffed into .json files, one per each set of floors. But finally, just a few weeks ago - after nearly two years of development - I decided that the loop of "edit .json file & re-run game" was too much hassle and threw together a test scene inside Unity that would expose those parameters for easier modification. 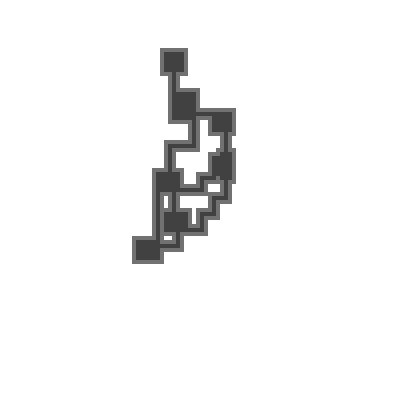 This also led to a lot of clean-up in the previously existing map generation code, new features for it, a new pathfinding algorithm being taken into use and a lot more parameters being extracted from the code into the .json file. All in all, a very successful undertaking. Let me know whether you enjoyed reading this (or not!) and if there's any specific topic you'd like to see me writing about more in relation to EFA. I'm thinking that all these Editor extensions are a good potential next topic, since I haven't happened upon that much information related to that topic, at least when comparing with other areas. Path from Entrance to Exit, drawn within that tool. Fun fact - this tool led me to realizing that our previous pathfinding algorithm was completely broken in a bunch of cases. Interesting read. Thanks for taking time to create it. I found it useful. Thanks for the kind words, glad you enjoyed it!